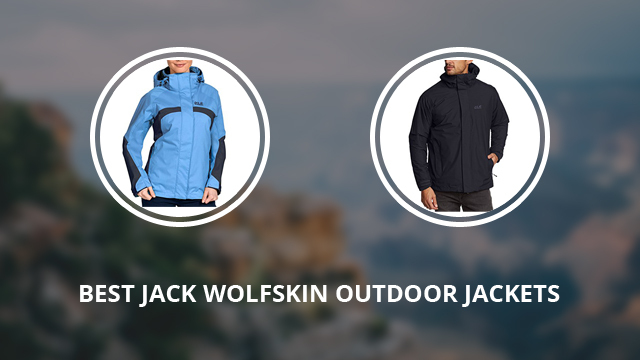 We have previously discussed and reviewed several Jack Wolfskin products and today we have handpicked eight of this brand’s jackets for outdoor activities, in a mixed selection for men and women. These high quality and versatile jackets, will certainly make you reconsider and you can rest assured that there is definitely something that will suit your lifestyle perfectly. Let’s get started right away with the men’s selection. Iceland is a 3-in-1 jacket, which can be worn most of the year, due to its design. The outer jacket is 100% Polyamide, with Texapore weather protection. Texapore gives the jacket its waterproof and windproof qualities, as well as makes it highly breathable, with a respiratory activity of 6000 g/m2/24h. 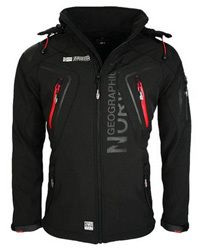 The inner jacket, is also 100% Polyester Nanuk 200 fleece. It is a warm inner layer, which is also very breathable, avoiding overheating and making the jacket very comfortable to wear. Both layers can be worn on their own, with the outer one being more suitable for spring and early autumn, while the inner jacket more suitable for late autumn. When both layers are put together, Iceland transforms into an outstanding winter jacket. It has two side pockets on the outer layer and two on the inner layer. The collar is high and hooded on the outer jacket, and stand-up on the inner one. The cuffs are Velcro-adjusted and the main zipper is waterproof and covered by a storm placket. This jacket comes in the colors: Black, Olive brown and Moroccan blue. A jacket for those who like to really test their clothing, North Country is probably the best choice. 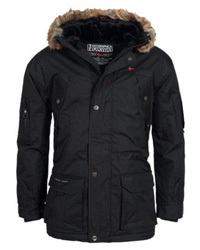 It is waterproof and windproof due to the Texapore lining on the outside and it is a really durable jacket. The inner layer is 100% Polyester, widely quilted and lightly padded with polyester padding. 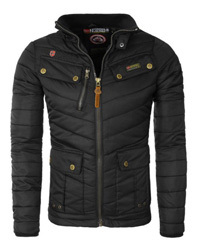 This jacket comes in a suitable length, just below the hips and covers the back properly. The cuffs are also longer and wide, but can be adjusted with Velcro fasteners. It has a waterproof zipper closure, protected by a Velcro placket. This is a very practical choice, because it has several oversized pockets that can easily carry your belongings. Two are placed on the sides, two on the chest and one on the inside. All zippered and lined on the inside. The collar is hooded, which can be adjusted with drawstrings. There are two color options: Black and Burnt olive. Related: Texapore vs Gore-Tex Technology – Which One is Better? 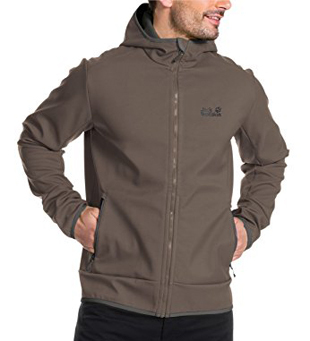 Glacier Valley II is a softshell jacket that easily adapts to form and movement. You can take this jacket with you in your adventures, or just wear it as a daily jacket in early winter, as it is warm, comfortable and lightweight. As with all softshells, it is designed for ease in movement and it is highly breathable, very suitable for those who are active despite the weather. The material is 100% Polyester, with 3-layer STORMLOCK softshell, making the jacket windproof as well as water-resistant. 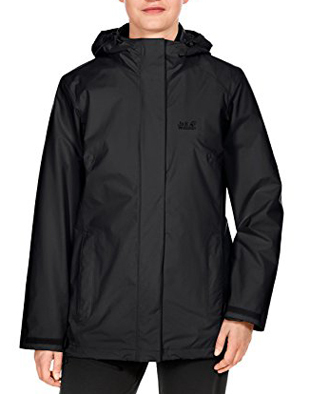 It has two outer pockets on the sides and comes with an uncovered, waterproof main zipper and a hooded collar. The cuffs and hem are elastic, for a better and practical fit. This jacket comes in seven color options: Black, Cactus green, Night blue, Dark steel, Siltstone and two shades of Red. 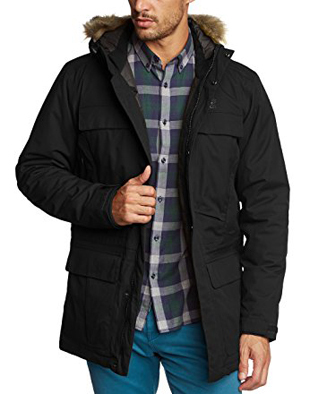 The men’s selection ends with Halifax, a previously featured parka in our reviews. It is made of 100% Nylon on the outside with Texapore protection and 100% Polyester inner lining. 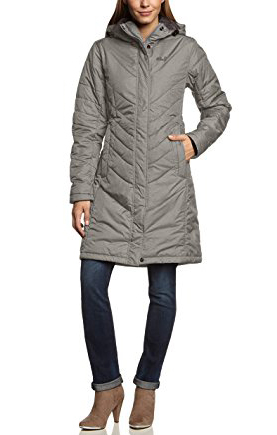 This is a padded jacket, with Microguard padding, which is a thin fleece-like layer that doesn’t require quilting and performs very well in cold temperatures and damp conditions as it is resistant to water. However this will not be a problem with Halifax, because the Texapore lining makes it fully waterproof. It has a hooded collar, with artificial fur trim of good quality and fleece cuffs, for added warmth. There are four oversized pockets on the outside and one inner pocket, with an earphone opening. The main zipper is, of course, waterproof and covered by a storm flap. 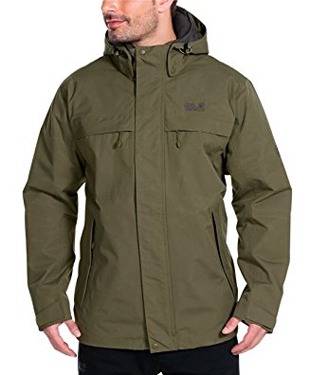 This parka is not just weather-resistant, it is also very durable against different environmental conditions. And because it comes without logos, makes for a great work jacket, especially for those who have to work outside in winter time. There are two colors available: Black and Dark teal. For the women’s selection, we have chosen two long jackets and two short ones. Starting with the long jackets, the first one is Iceguard, an elegant and casual coat. It is made of STORMLOCK active on the outside and 100% Polyester on the inside. The padding is Microguard Silver, which, apart from the microfiber and synthetic fibers, has small metallic particles, in order to quickly warm up and maintain the heat longer. This is a loose fit jacket, with two side pockets, lined on the inside to quickly warm up the hands and one inside pocket. The zipper is 2-way and covered by a snap-button placket. 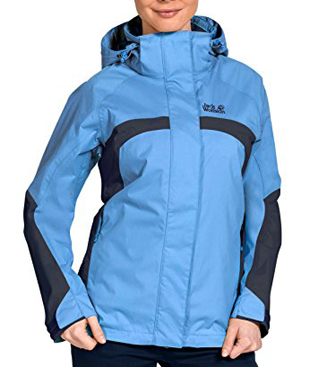 It has a high stand-up collar and a detachable hood, big enough to fit long hair comfortably. It comes in the colors: Dark teal, Black and Mocca. Crystal Iceguard is also a long winter coat, with a slim and elegant design. It is knee-length and it is made of STORMLOCK active on the outside and padded with Microguard Silver. STORMLOCK makes this jacket water-repellent, windproof and tear-resistant, without requiring many layers and a bulky finish. This leaves the jacket lightweight and thin, yet suitable for heavy winter weather. 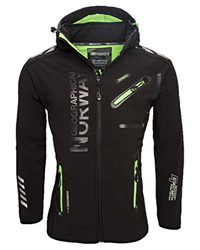 The main zipper is covered and waterproof and it comes with a high stand-up collar and a detachable hood. The inner cuffs are made of fleece and there are two outer hand-warmer pockets and one inner pocket. There are three color options: Black, Grey heather and Mocca. 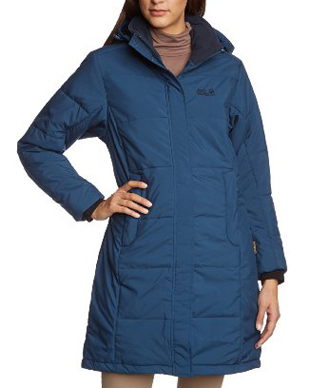 The women’s version of the 3-in-1 jacket we listed for men, this one is also made of 100% Polyester with Texapore lining on the outside and 100% Polyester fleece 200. 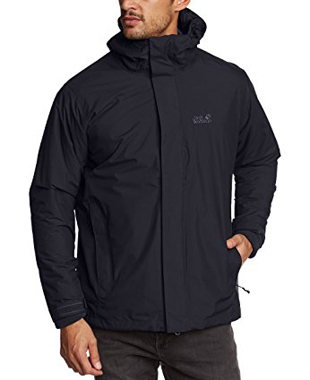 It is a very lightweight jacket, waterproof, windproof and highly resistant to tearing. This is a suitable choice for those who are active as it is a very breathable jacket. Especially practical for those who like to travel to different places, the 3-in-1 design makes it easier to have three different options with you, all in one single jacket. It has Velcro-adjusted cuffs, it is slightly below the hips in length and it has a waterproof main zipper, covered by a Velcro placket. The collar is hooded and adjustable and you can choose from two color options: Black and Blue indigo. Lastly on this selection, Topaz II is a beautiful and colorful sports jacket. It has Texapore nylon on the outside and 100% Polyester inner lining, a very breathable and lightweight combination. The collar is high and closes to the front with the Velcro placket that covers the main zipper. It is a waterproof jacket, suitable for dry and wet weather conditions, a great choice especially for camping or hiking in autumn and early winter. It has a detachable hood, which is oversized and adjustable. The cuffs are Velcro-adjusted and it has two high pockets on the sides and one inner pocket. It comes in different colors like Blue, Black, Red, White and other varying shades. Previous Article← Gore-Tex vs Texapore Technology: Which One is Better?